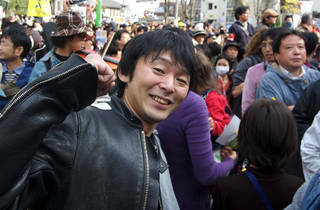 In the two months since the earthquake and tsunami, Tokyo's streets have seen plenty of anti-nuclear rallying, the largest of which was the Koenji demo in early April. Organisers claimed that 15,000 people protested, though an official police count never materialised (if one was ever taken at all). Suffice to say, it was the biggest public demonstration Japan has seen in decades. This week the organiser, Hajime Matsumoto, has announced his hopes to build on that success with an even bigger rally planned this coming Saturday. 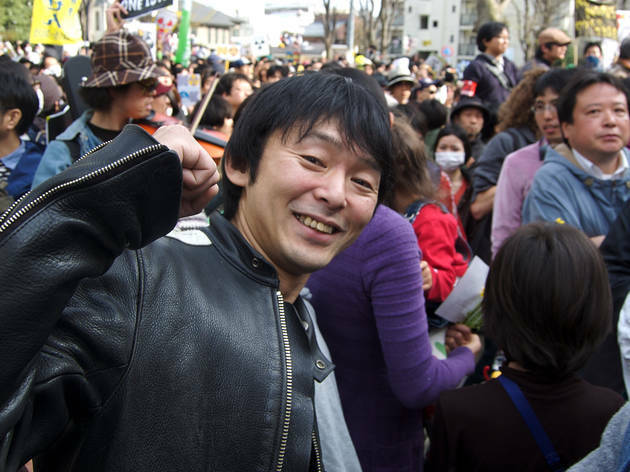 While he has yet to announce any kind of musical lineup to accompany it, the march has the potential to garner more attention than its predecessor, as it takes in some of Tokyo's prime shopping areas on what is also the final Saturday of Golden Week. Will he be able to drag the Harajuku fashionistas away from their reason d'être? It's doubtful, but well worth a try.